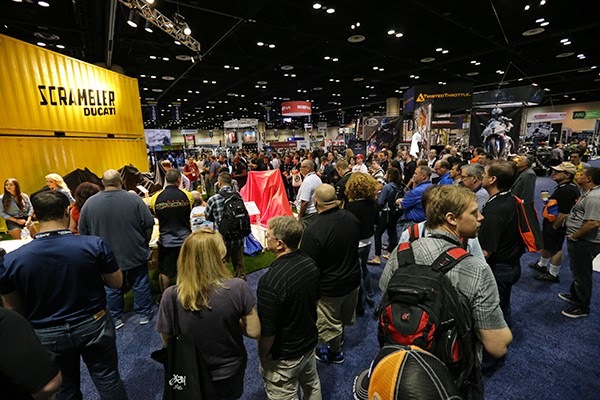 Marketplace Events, the company behind the American International Motorcycle Expo, at Orlando, Florida (AIMExpo) have announced a total attendance or this year's second annual event of 18,145 with visitors reported to have come from 51 different countries. Headed up by former Cycle World publisher and MIC Chairman Larry Little and ex-Advanstar Dealer Expo man Mike Webster, AIMExpo is described as "America's first combined Powersports show" and that at "over 800,000 square feet (approx 74,300 square meters) of indoor exhibit and outdoor demo space, AIMExpo is the largest show of its kind". In fact, it is the only show of its kind in the United States, and as the first Powersports Industry expo to seek to attract trade and consumer visitors, its mission has been to bring the kind of combined all-sector industry thinking that has been de rigueur at the much larger INTERMOT (Cologne, Germany) and EICMA (Milan, Italy) shows in Europe for decades. Advanstar's Indianapolis Dealer Expo for many years. 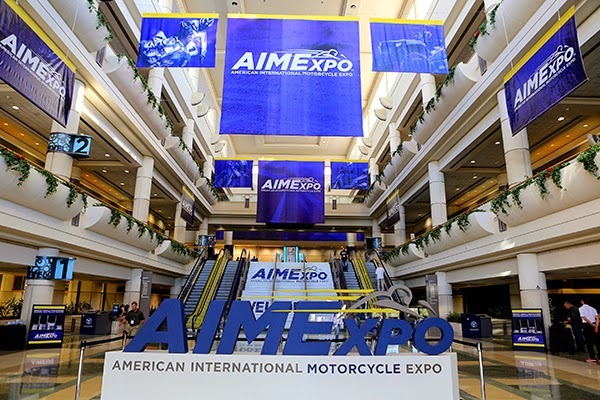 AIMExpo says that its 18,000+ attendance was broken down into some 11,000 consumers, 3,000 dealers and other industry professionals and nearly 250 media representatives with the rest being exhibitors and staff. In total, there were 501 exhibitors, mostly representing 'mainstream' vehicle manufacturers and aftermarket parts, accessory and apparel vendors. So far, AIMExpo has not yet managed to secure a foothold with the custom v-twin exhibitor community. The annual V-twin Expo at Cincinnati each February remains the dealer show opportunity of choice for them, but Marketplace Events' appointment of industry legend Bob Kay as V-twin Directory could boost the Harley-Davidson aftermarket appeal of AIMExpo. Kay himself is keen to point out that the mission is not to try to compete with, or replicate, the strictly trade-only Easyriders event, but instead to exploit the consumer opportunity that the venue and date offer. Marketplace Events have announced next year's AIMExpo date - 15th-18th October. Samson's Black Friday Sale for 2014! ZODIAC BIKERS BOOK ISSUE 40 IS OUT!